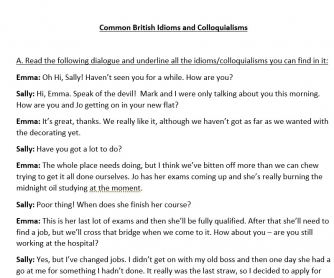 Many of my students who come to work in the UK find that although their English is pretty advanced, they struggle to cope with native speakers' use of idioms. 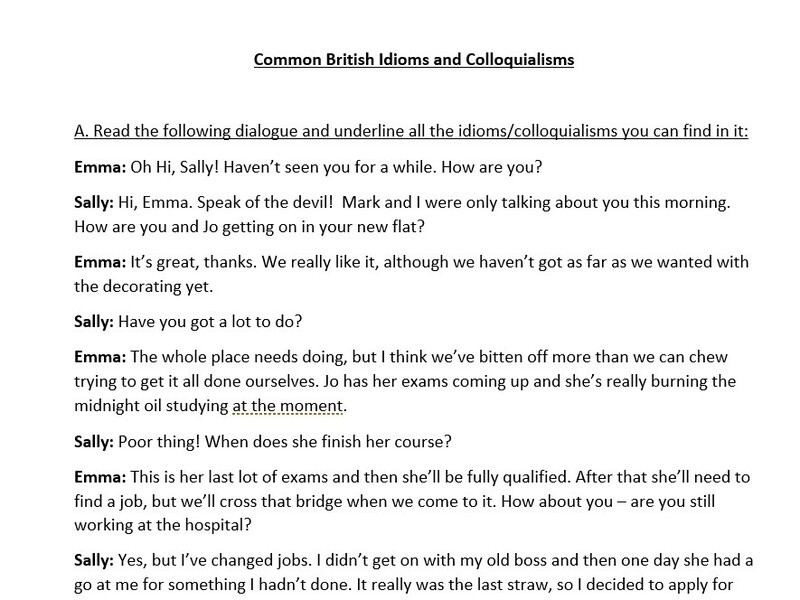 This worksheet includes a dialogue in which there are several everyday British English idioms and colloquialisms (all of which I would use myself!). There is a matching exercise on the second page. I have used this with Advanced students, but it is accessible for intermediate students and above.